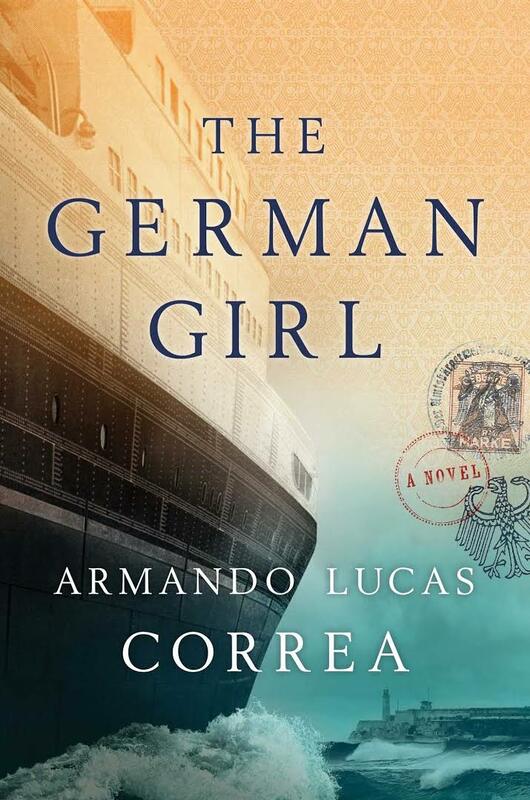 The German Girl by Armando Lucas Correa is a historical fiction novel that spans generations throughout the tale. We are introduced to Hannah Rosenthal, a German Jewish girl, aged almost 12, who hails from a fairly wealthy background, living in Berlin. Her best friend is a boy named Leo Martin, who I found to be a delightful character that bought some brightness to this rather confronting story. It is 1939, just before the war, and the town where Hannah resides is changing, and not for the better. Friends no longer want to communicate with each other, and the neighbourhood feels unsafe. Hannah and her parents become 3 of some 900 passengers to board the SS St Louis, a luxurious transatlantic liner that will take them safely to Havana, where they will then be put on a waiting list to gain entry in the United States of America. But it is not all smooth sailing once they are onboard. We also meet Anna Rosen, who resides in New York, the year is 2014, and Anna has lost her father to the Twin Tower bombings. She receives a package from Hannah, who is in fact her long-lost Great Aunt. Anna travels with her grieving mother to meet Hannah, who still resides in Havana after all this time. This story has a lot of information to process, but it has been researched very, very well, and that really comes across as you read. I felt at times that there was a little bit too much going on at once, which made it a little complicated, and it did take me quite a bit of time to get really attached to it, but the story is highly emotional, and focuses on persecution, and finding salvation and hope in the direst of circumstances. It is not difficult to see why it is getting many great reviews. If you are a fan of historical fiction, then this book should be the next one you read. Personally, I enjoyed it, even though it was quite sad and not the genre of book that I would usually choose to read. I particularly liked the Author's Note and the photos that are included at the back of the novel exhibiting the real passengers that boarded the SS St Louis. All opinions are my own, and not influenced in any way. I was not paid for this review. Oh, this I must read. I'm really enjoying those past and present historical themed romances right now. I gave this one a miss.... I'm not a huge fan of historical fiction however - unless it flashes back into the present time usually!